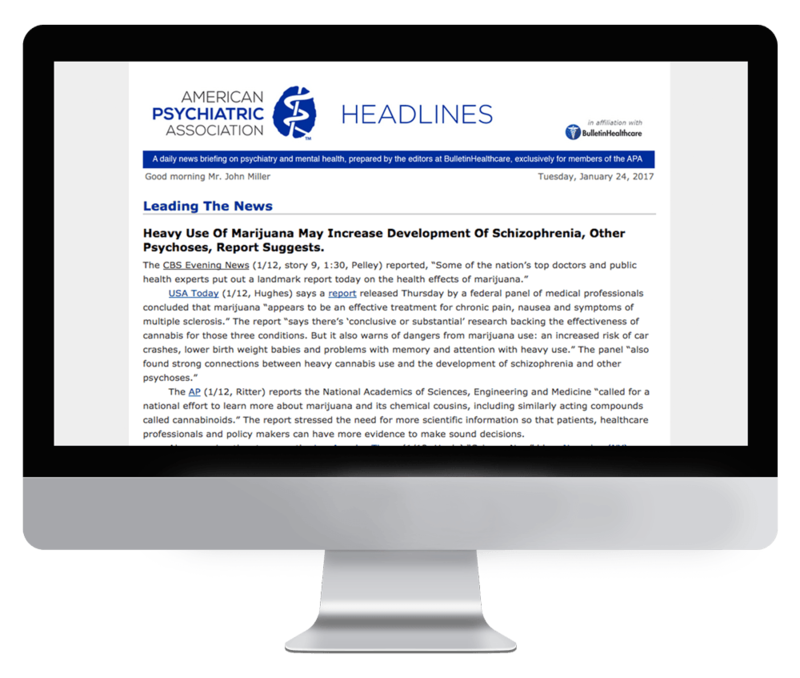 Headlines is the official briefing of the American Psychiatric Association and is a highly valued member benefit. It is delivered Monday through Friday by 8 a.m. EST. The American Psychiatric Association is the world's largest organization of psychiatrists. It strives to deliver the highest level of quality care and treatment to those with mental disorders while also promoting education and research in all areas of psychiatry. Subscription to Headlines is exclusively limited to APA members. If you are a member of APA and would like to receive this briefing, please reach out to the association directly.